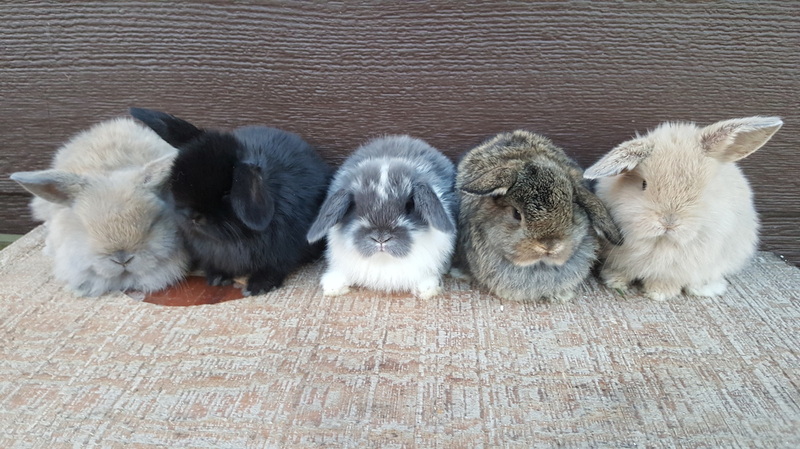 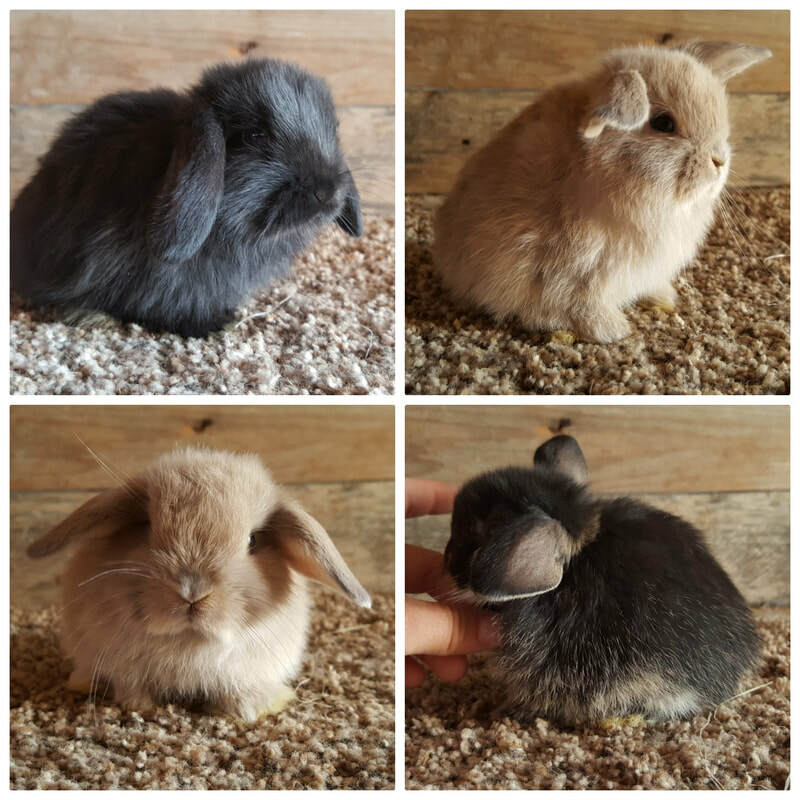 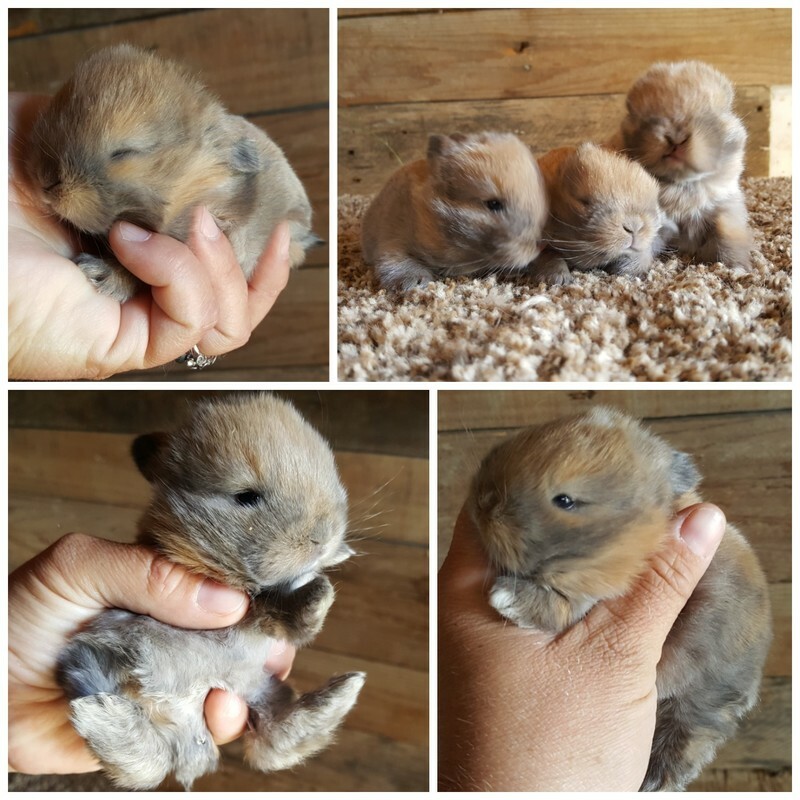 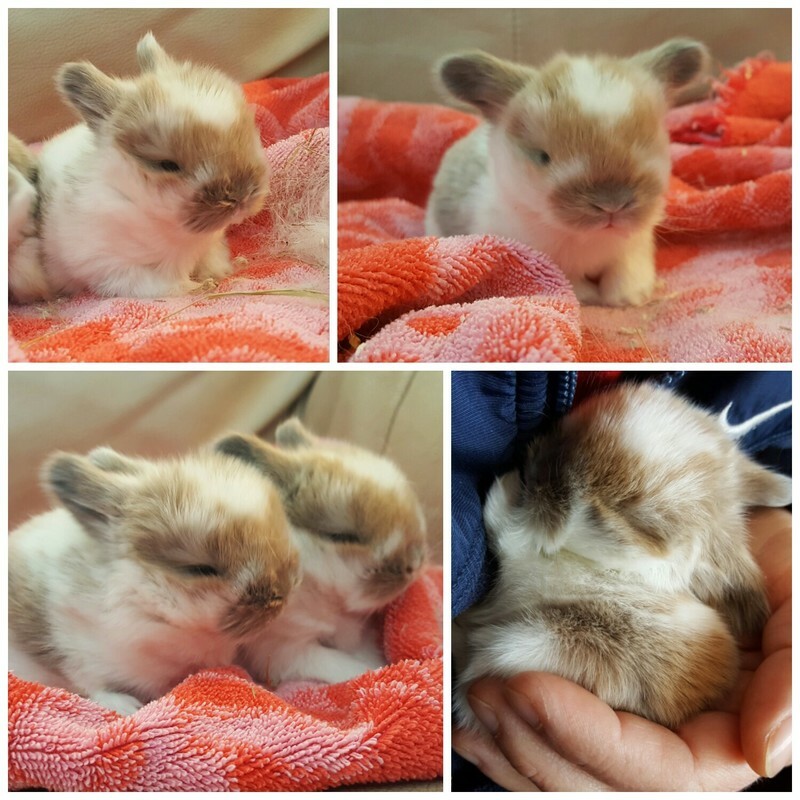 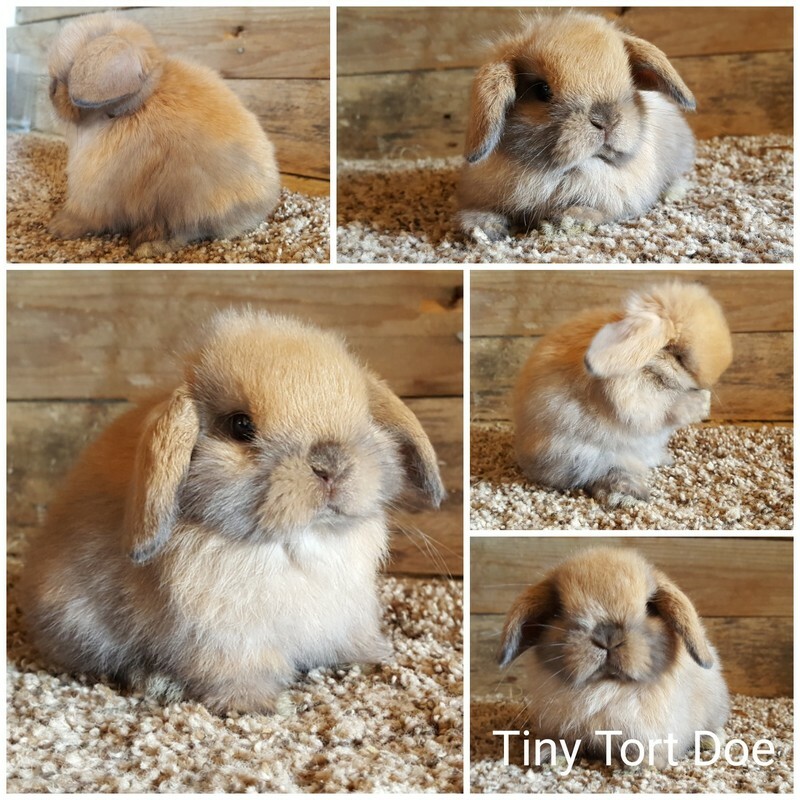 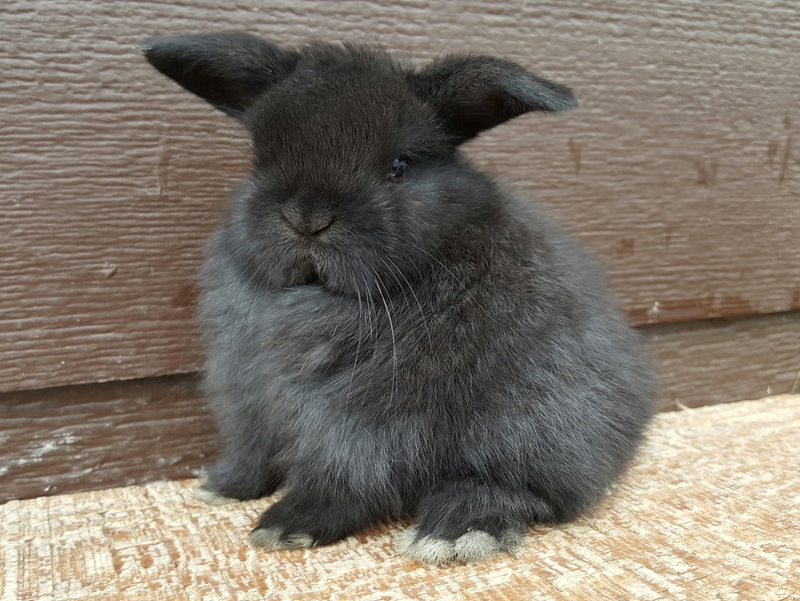 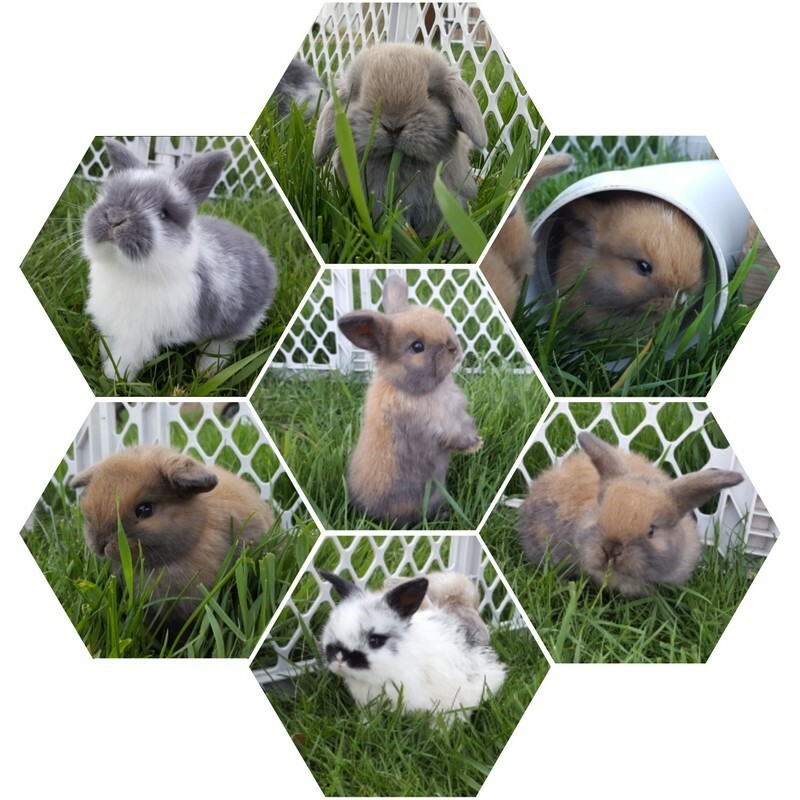 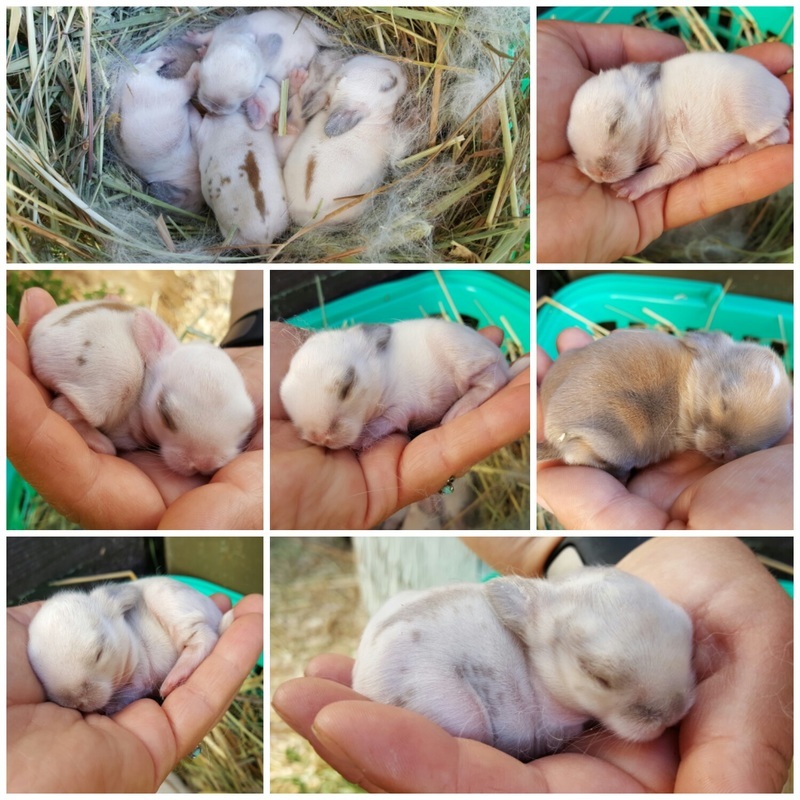 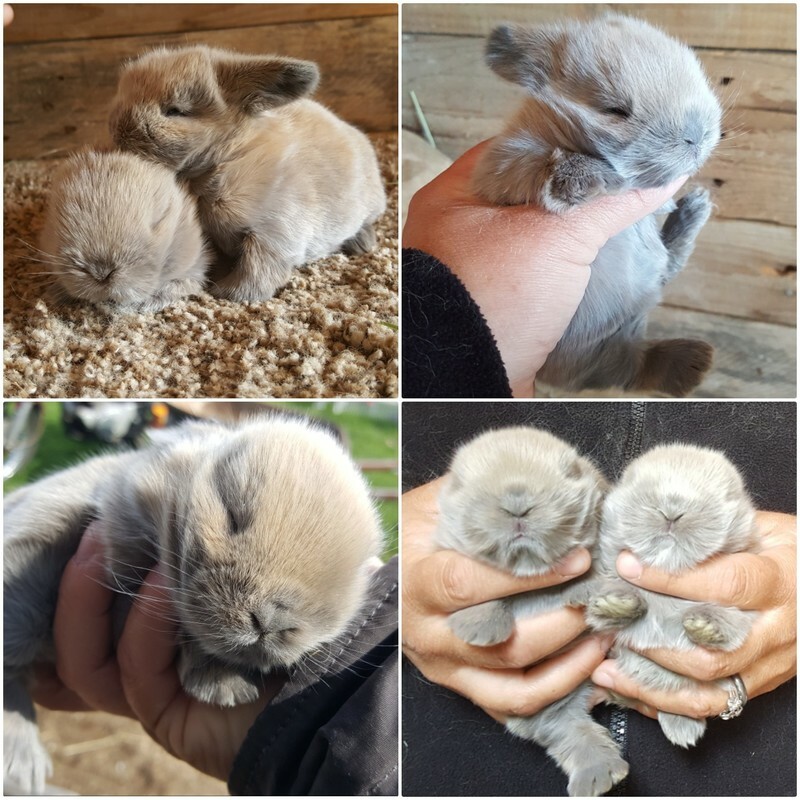 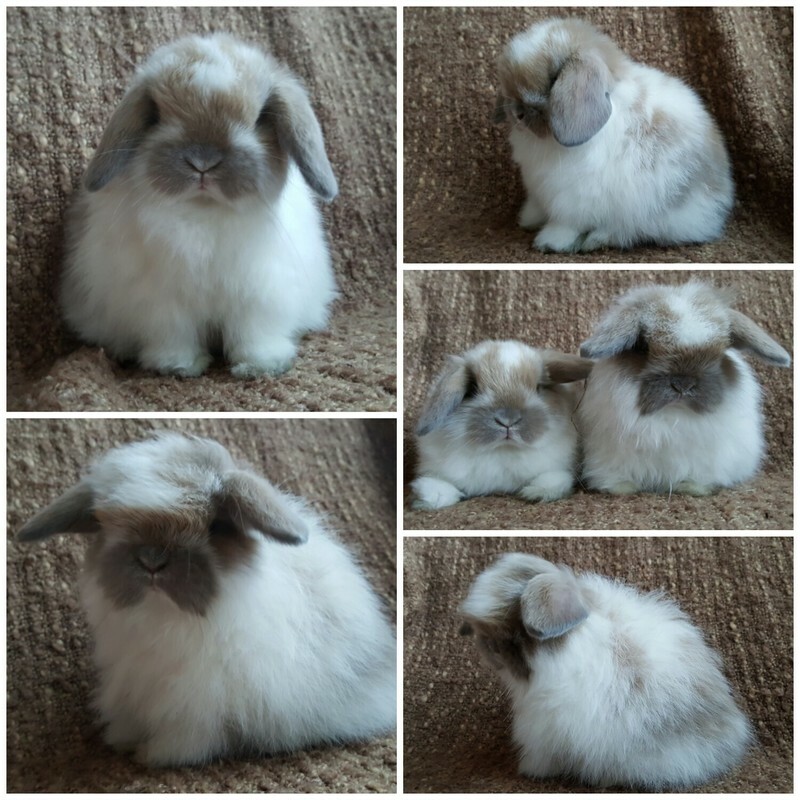 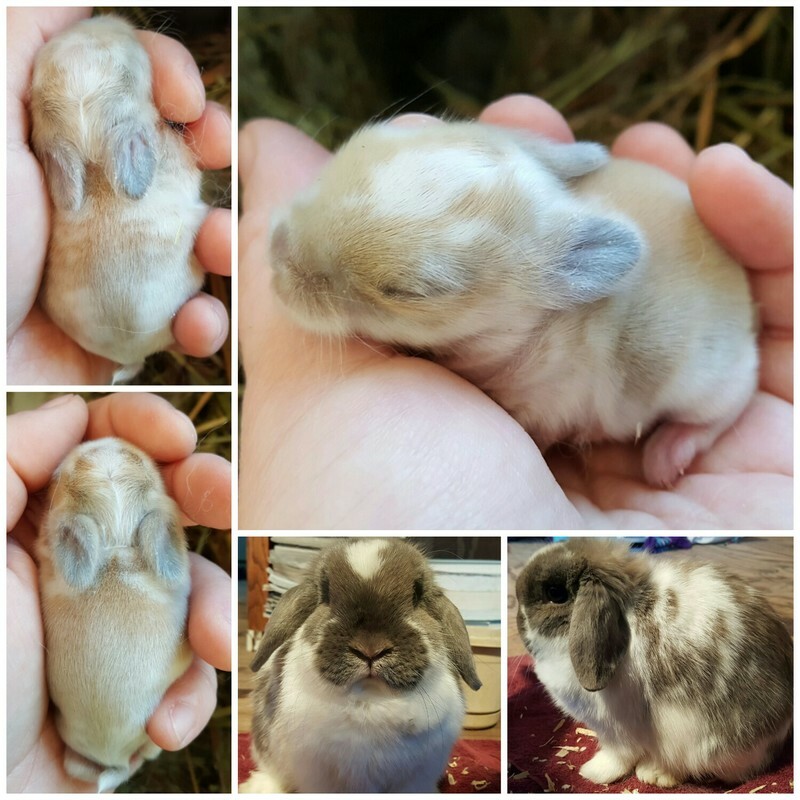 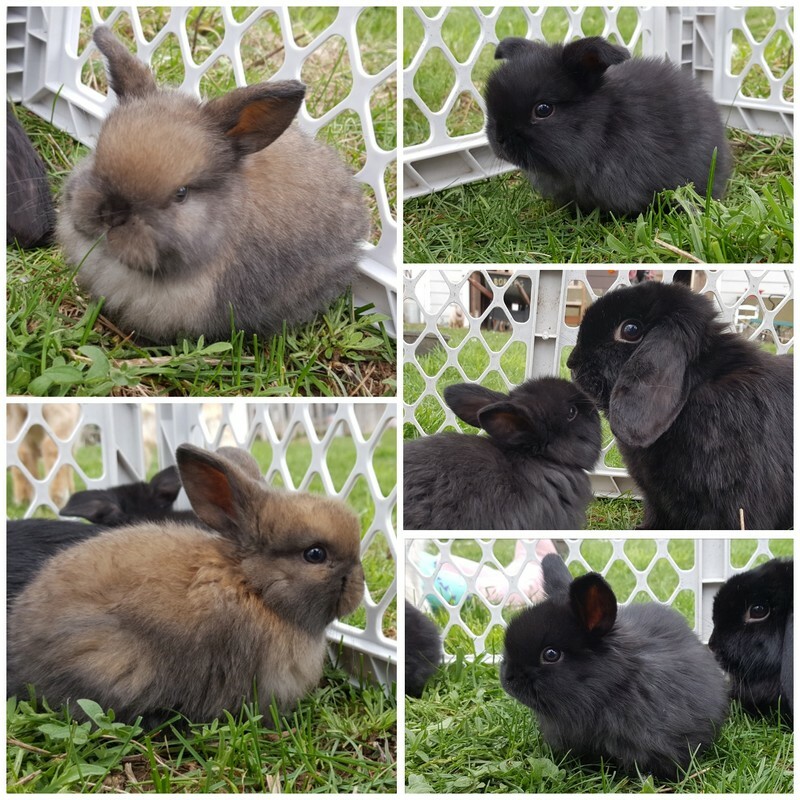 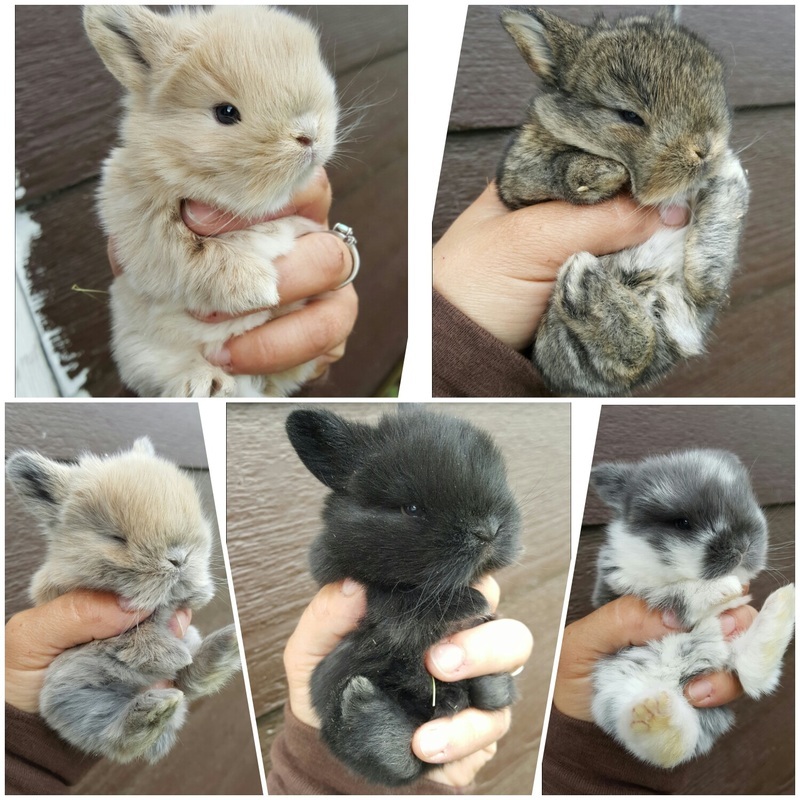 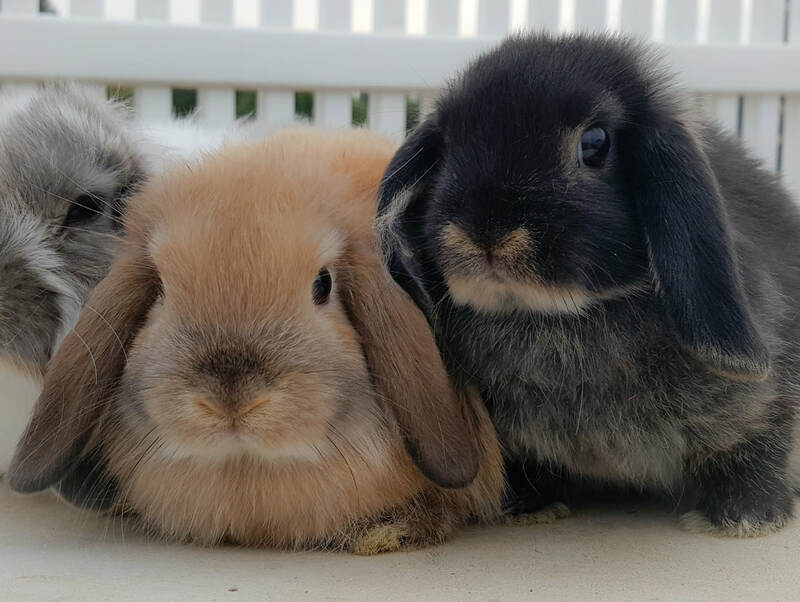 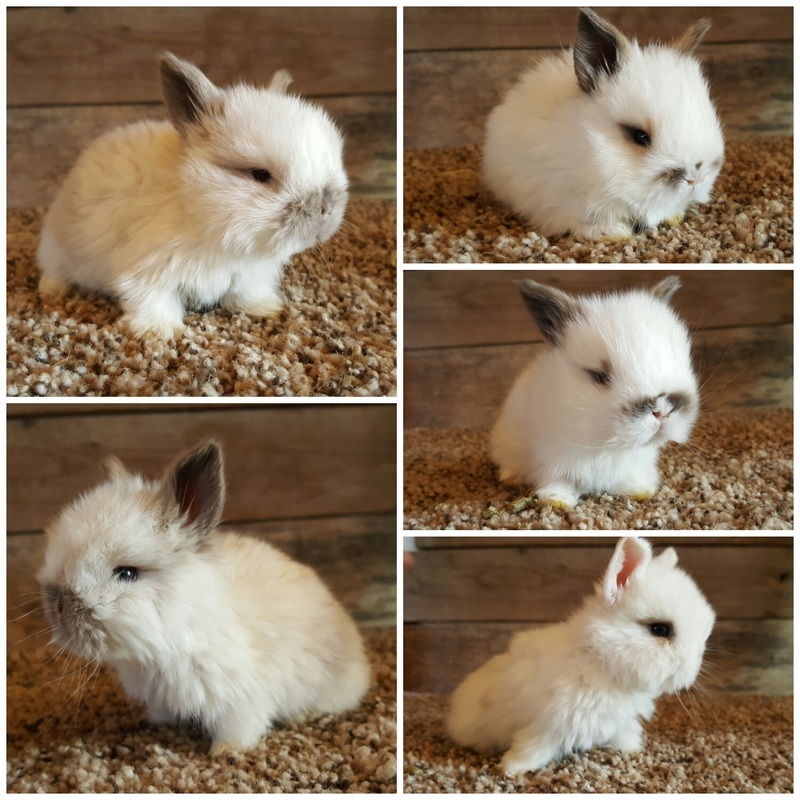 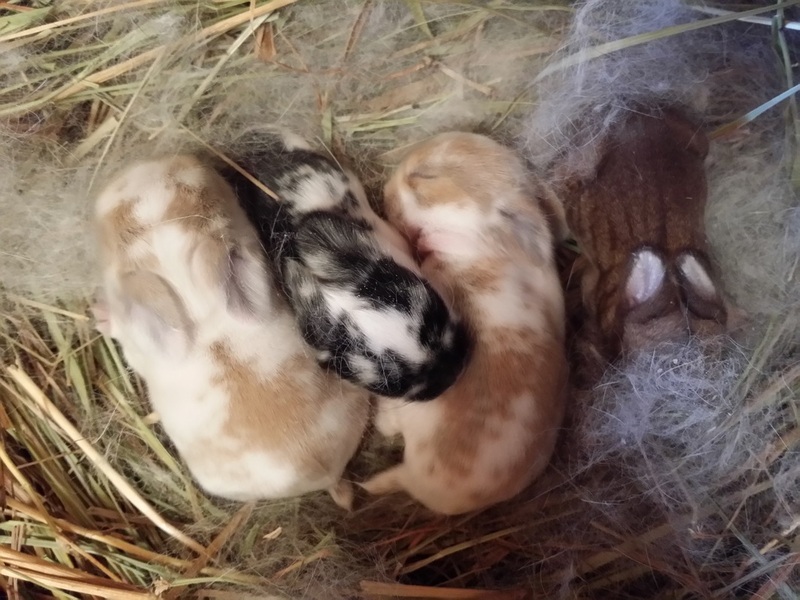 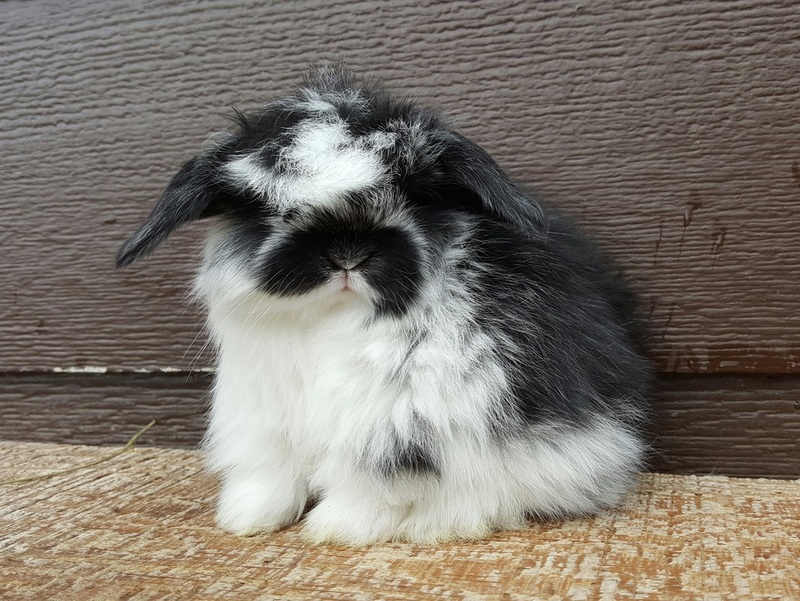 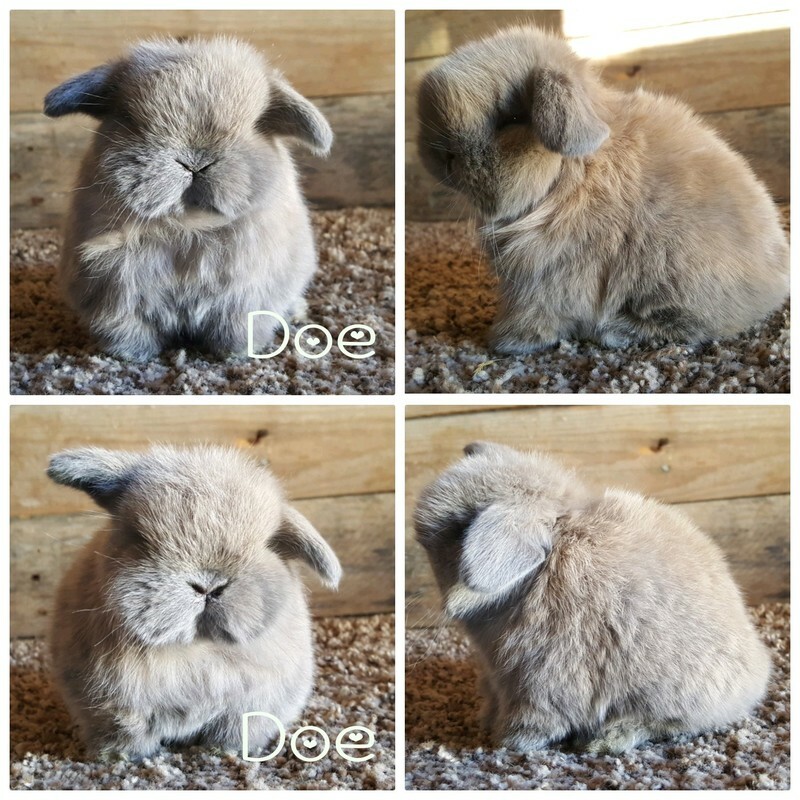 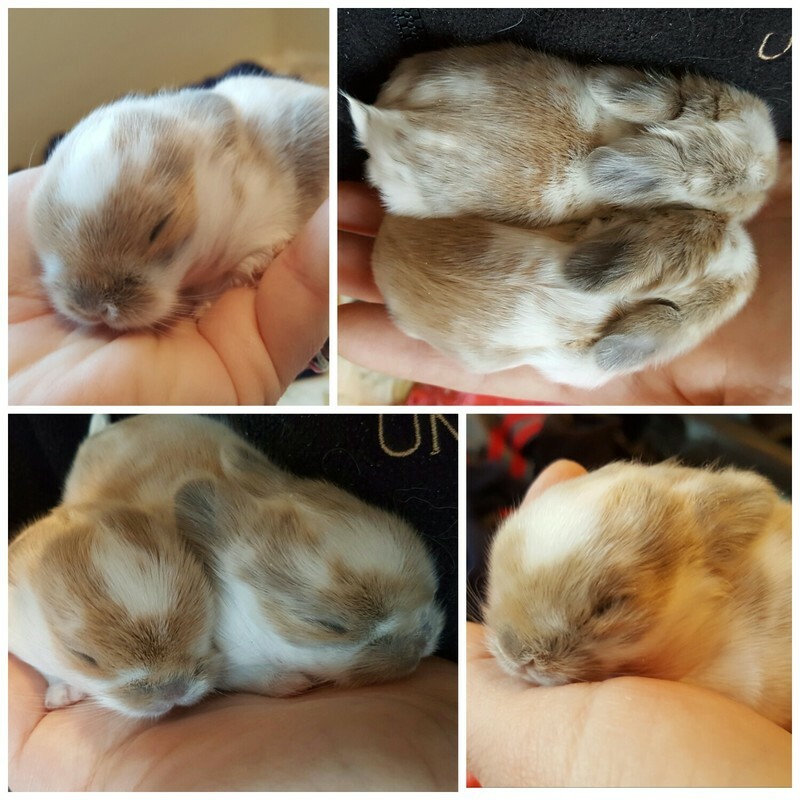 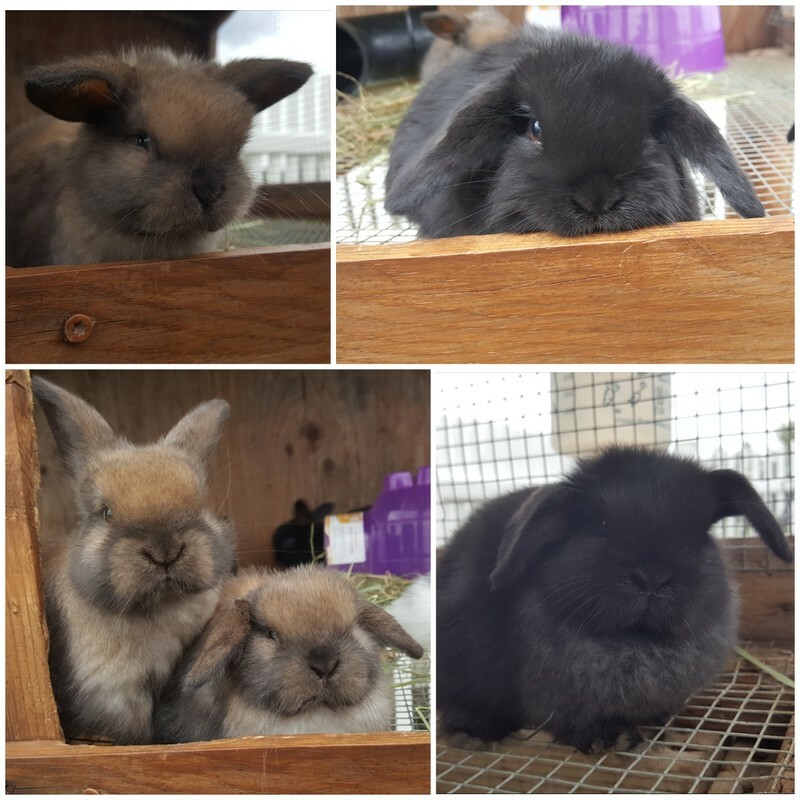 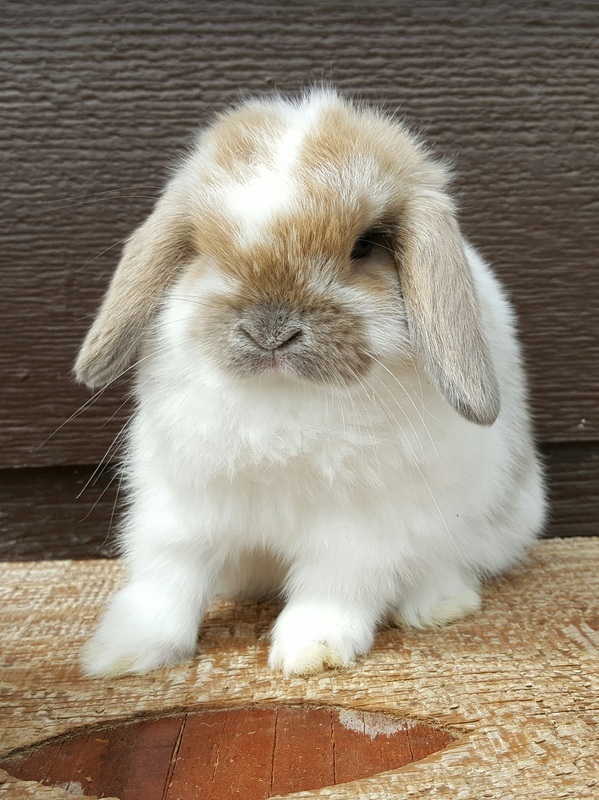 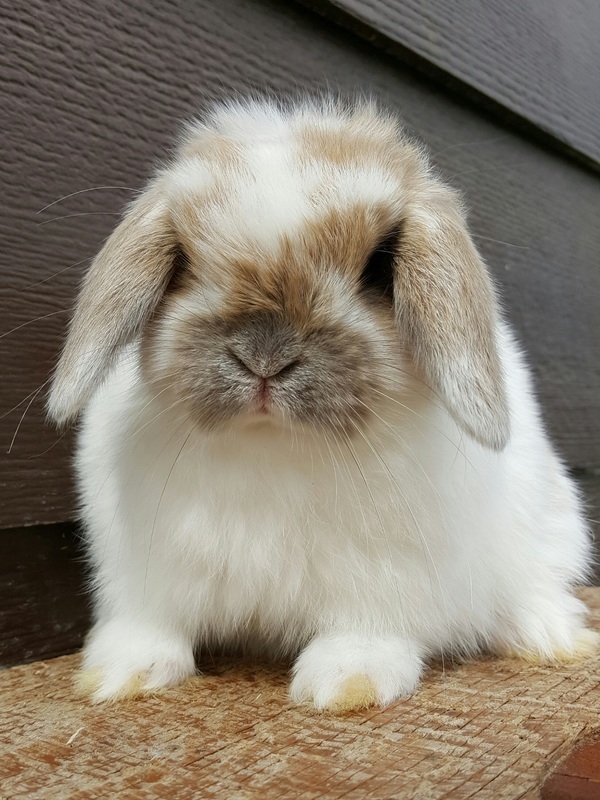 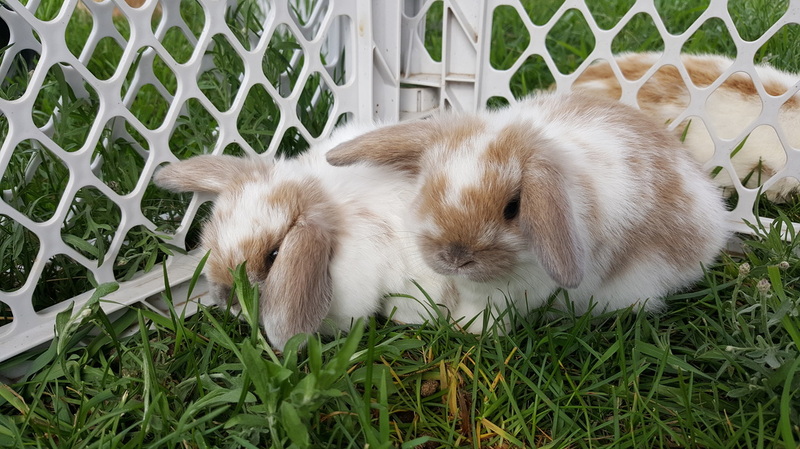 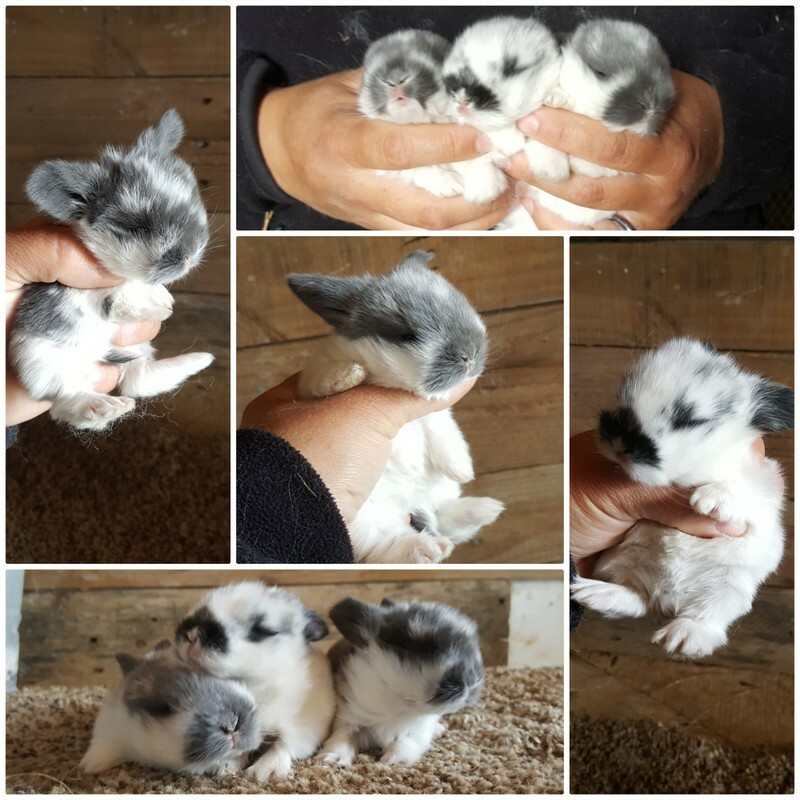 ​This page will give you an idea of what your bunny will look like at different stages of growth! 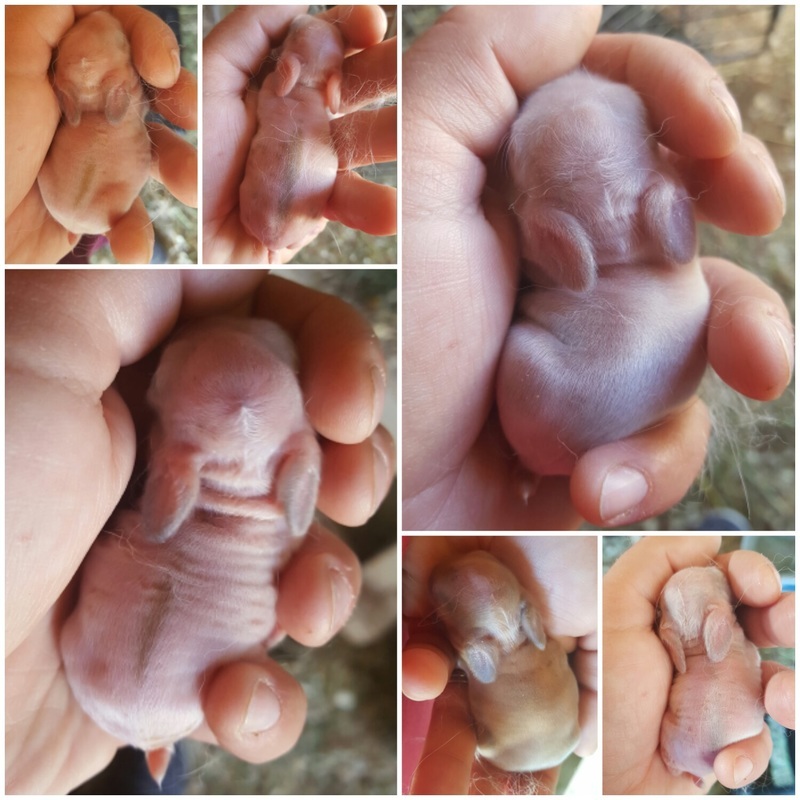 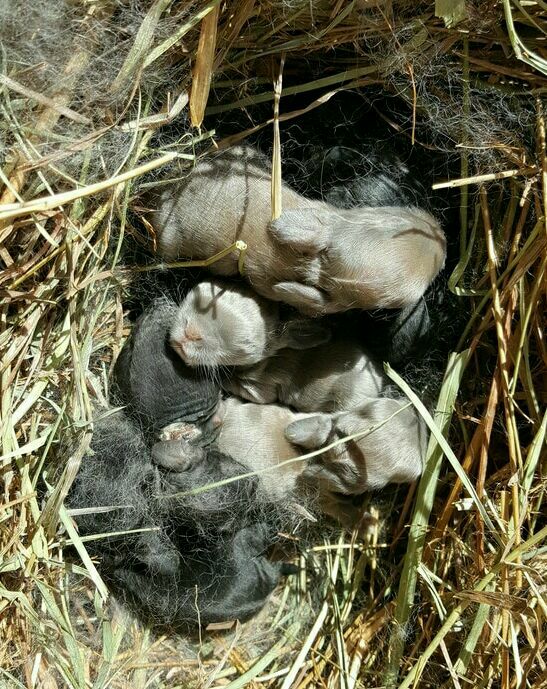 We had a surprise when a new doe we bought gave birth 2 weeks after we bought her! 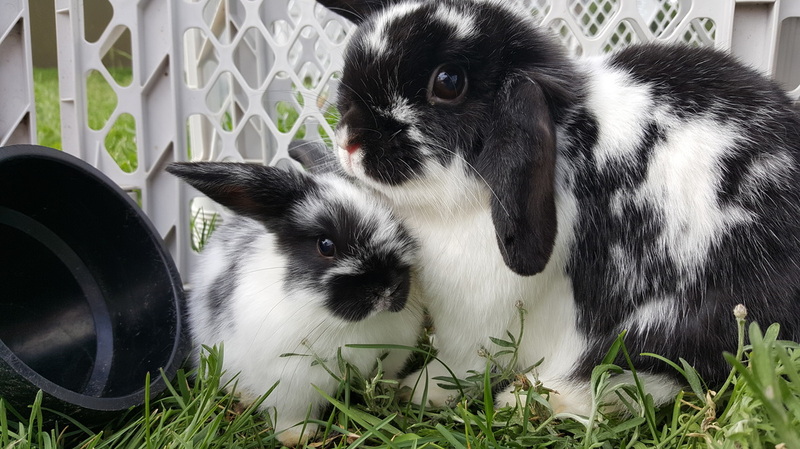 Lucy was at first a stubborn mama, but was later returned to her babies! 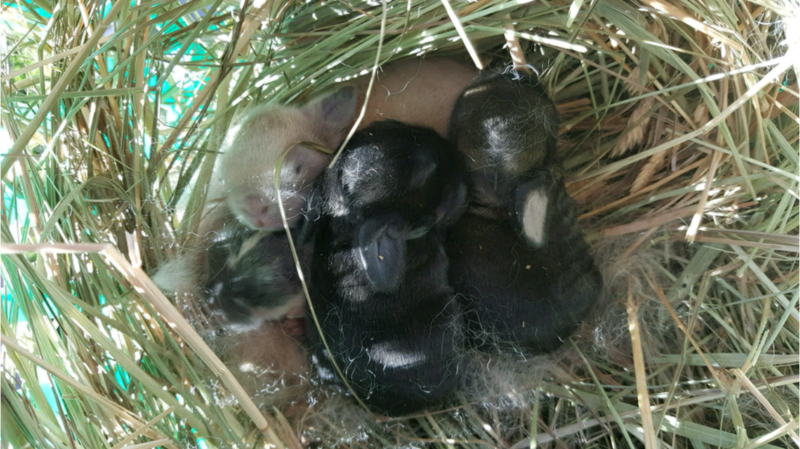 The little solid black is a doe and we have kept her and named her Lucky and the broken black was a buck. 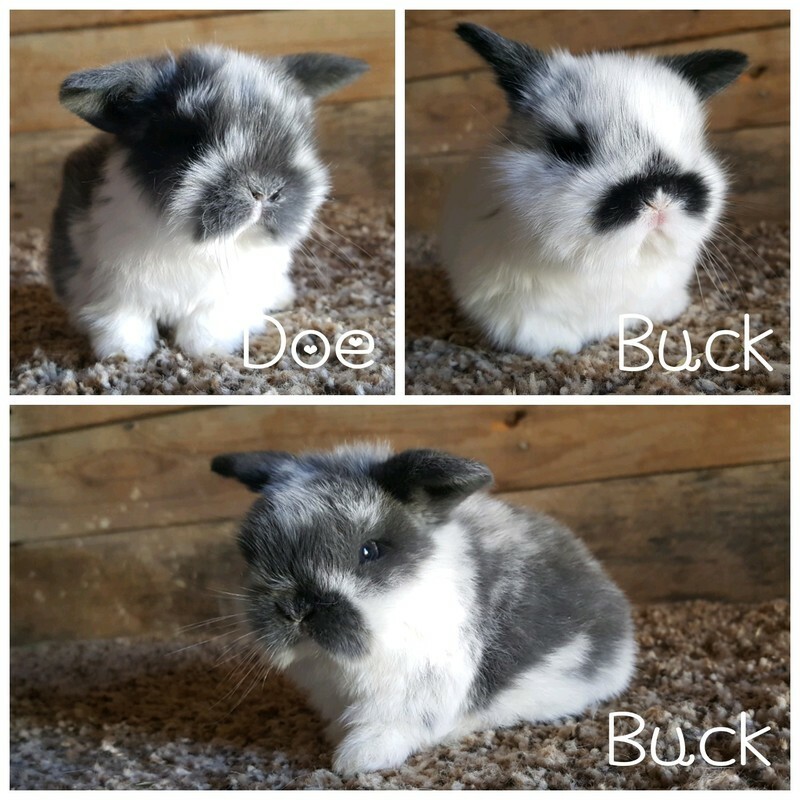 The black buck was a fuzzy which means that he will have long hair due to the double fuzzy gene. 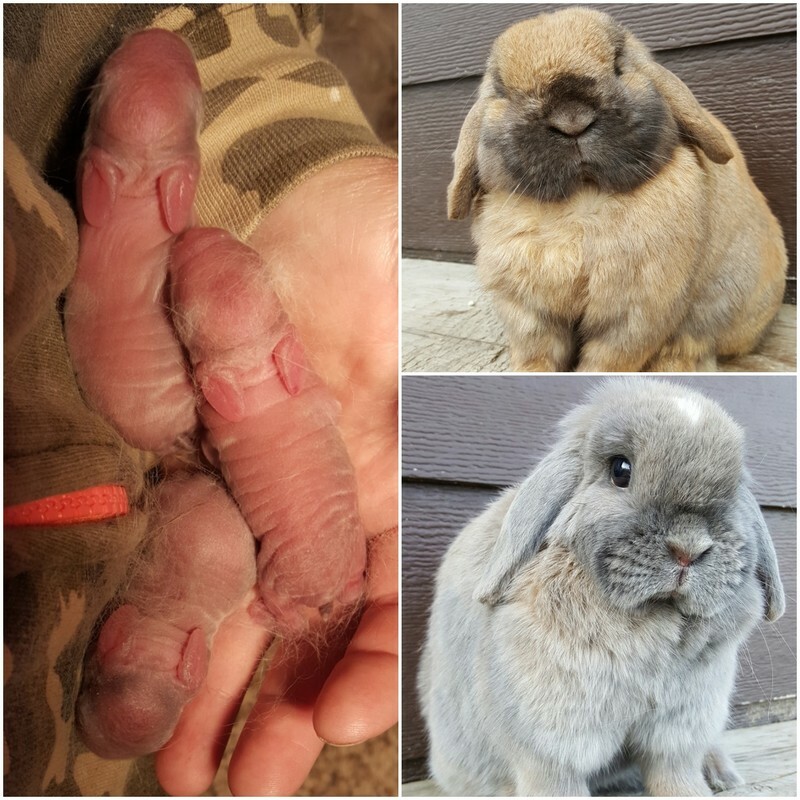 He has a wonderful new home and will produce gorgeous babies in the future!